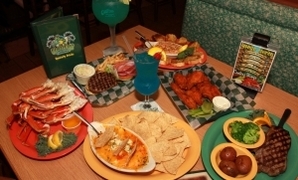 It’s “The Big Game” Party time at Cooters! 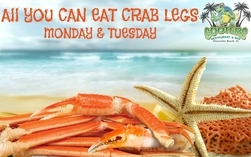 The best place on Clearwater Beach to watch the SuperBowl is Cooters Restaurant and Bar! 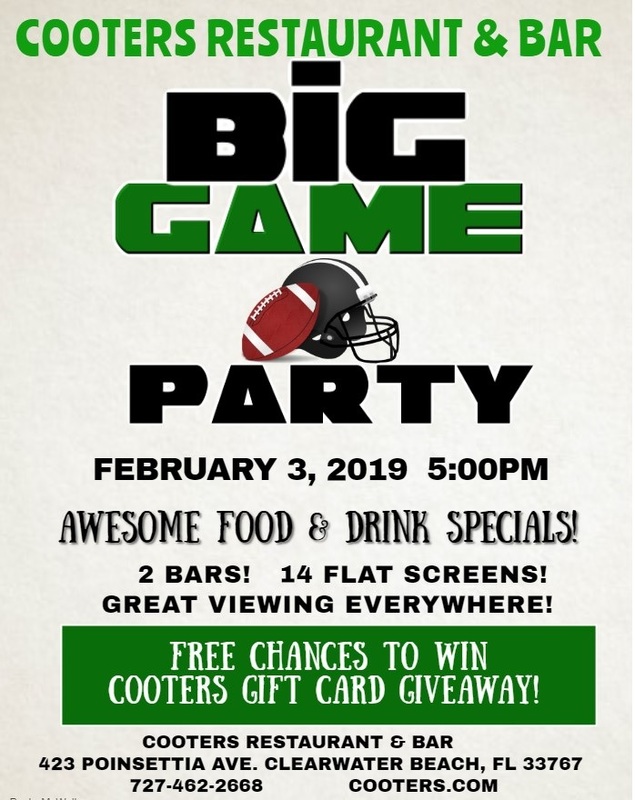 Cooters' Annual Big Game Party Feb. 3, 2019 is the place to be for great food, fun, and FOOTBALL! The game will be shown with SOUND on 14 hi-def screens with great viewing everywhere! Chances to win FREE Gift Cards! 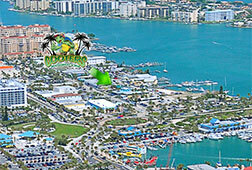 Party starts 5:00 PM at Cooters Restaurant & Bar, 423 Poinsettia Avenue, Clearwater Beach. 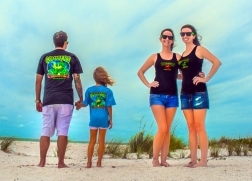 Come join the fun at Cooters!